Master Coach Bill Schacht provides insights and communication tools to support couples in creating desired changes in their committed relationship. Couples learn how to continue to co-create, grow and evolve their relationship ongoingly to maximize their daily joy and pleasure of life together. Sessions can be conducted in-office, by Skype, by phone. Session duration vary to meet specific couple needs and desires. In a culture that produces a 50% divorce rate in 1st marriages, 63% divorce rate in 2nd marriages, and 75% divorce rate in 3rd marriages, Master Coach Bill Schacht guides couples intent on forming a committed relationship in assessing key components and communication skills necessary to create and continue to grow and evolve their union. Couples illuminate their relationship strengths and weaknesses, learn and apply essential communication tools, and custom-design a plan for consistent communication to maximize the joy and pleasure of life together. Sessions can be conducted in-office, by Skype, by phone. Session times vary to meet specific couple needs. Master Coach Bill Schacht facilitates clients to fully illuminate desire for life experience, relationship creation, and personal and professional creation/production. Bill then guides clients to create action plans and networks of support and identify and secure needed resources to have their dreams lived and accomplished. It is difficult for parents of adult children in or seeking to create a committed primary relationship to know what to say or how to guide children in establishing and growing their own healthy, joyful, committed relationship. Therefore, too many times, parents think, "It's none of our business" and simply say nothing. Relationship Coaches Bill Schacht and Jessica Vahovick coach parents in a common-sense, systematic variety of topics that parents of adult children can use as discussion points for valuable relationship mentoring. In 2010, "blended family" (a couple with children from previous relationships) became the #1 structure of households in America. Creating and growing a healthy, happy blended family is a challenge for couple uniting into that life structure. Failure of the children to integrate into a family blend is the most often reported cause of failed 2nd and 3rd marriages. Relationship Coaches Bill Schacht and Jessica Vahovick illuminate challenges and guide couples to ensure consistent, collaborative parenting and establishing rules and roles in the blended household. Venturing back into the dating scene can be an overwhelming undertaking. Relationship Coaches Bill Schacht and Jessica Vahovick help individuals ensure that issues from a previous relationship are resolved, a clear vision of a new partner and relationship is established, and a dating plan of action is followed. Individuals save valuable time and money by learning how initiate communication that expresses interest and to quickly and effectively identify desired matches. Exploring and discussing common sense wisdom essential for couples to create and continually grow a loving, emotionally intimate, committed relationship. Learning and using distinct communication tools and interaction patterns essential to ensure consistent couple happiness and satisfaction. Jessica Vahovick leads this 60-minute workshop highlights the GREAT PARENTING SENSE "Model of Effective Parenting." Participants learn 5 key parenting concepts and parenting delivery processes to ensure consistent, collaborative parenting to which children will understand and positively respond. 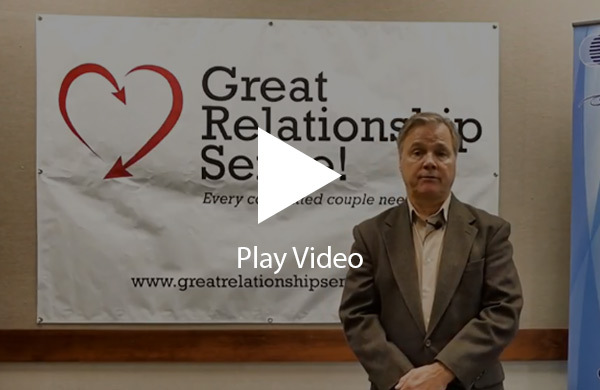 Relationship Coach Bill Schacht engages participants in Illuminating strategies that successful couples use to keep their romantic and sexual relationship growing better and better rather than fading over time. Master Relationship Coach Bill Schacht custom designs workshops to help clergy and pastoral counselors in effective tips and communication tools to improve the counseling of parishioner couples and individuals in or desiring to be in a committed relationship. A dynamic process allows pastoral counselors to assess their personal style, highlight strengths, and strengthen weaknesses in coaching couples from a proactive "what works" versus "what's wrong" approach. "UNDERSTANDING & WORKING WITH CHILDREN OF DIVORCE IN SCHOOL SETTINGS"
Bill Schacht or Jessica Vahovick lead this in-service for teachers and other school personnel focused on how exposure to family separation, divorce, and blending families can impact a child's classroom presentation and performance. Participants learn how to identify the effects of family separation in student communication, socialization and academic performance patterns and provide support a child may need to function to potential in the classroom. (Designed as 60 or 120-minute in-service trainings). Jessica Vahovick leads this 60-minute workshop highlighting the GREAT PARENTING SENSE "Model of Effective Parenting." Participants learn 5 key parenting concepts and parenting delivery processes to ensure consistent, collaborative parenting to which children will understand and positively respond. Master Relationship Coach presents his model of communication and interaction pattern which cause great relationship to grow and succeed and patterns present when couples break-up and divorce. The impact of these patterns on children will be illuminated. This is a "must see" wisdom for anyone in or wanting to create a joyful committed relationship. Relationship communication expert Bill Schacht facilitates interactive team building focused on pre-determine objectives established by the corporate management. Essential communication and interaction patterns are illuminated and trained. Master Relationship Coach Bill Schacht induces relationship communication and interactions patterns that exist with long-term committed relationships. Common-sense tips and tools are also provided to give marring couples essential perspectives and skills to keep their committed relationship romantic and growing.